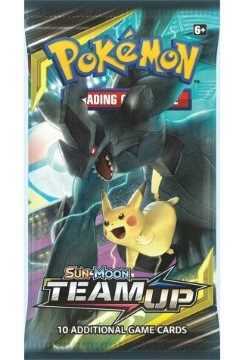 TAG TEAM Pokémon-GX are here, brand-new cards that feature paired-up and powered-up Pokémon! 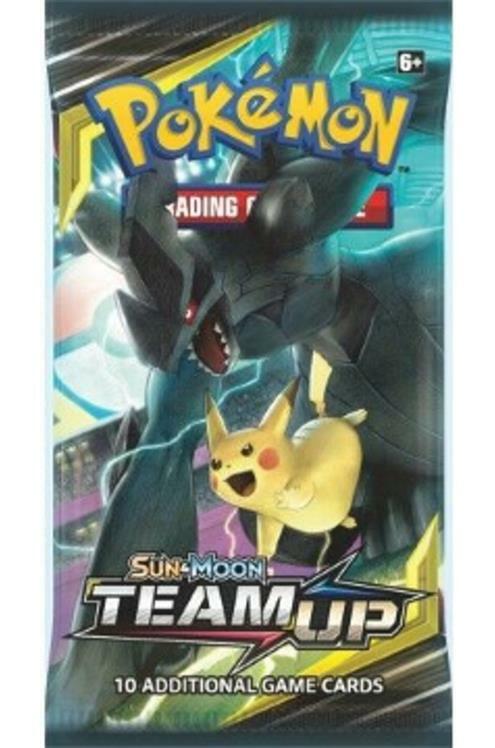 The Pokémon TCG: Sun & Moon—Team Up expansion offers many amazing battle teams including Pikachu & Zekrom-GX, plus Lycanroc-GX, Hoopa-GX, Cobalion-GX, and more! When the teams put their moves into motion, it’s a total free-for-all. Check out the awesome action and dynamic duos in the Sun & Moon—Team Up expansion! 36 boosters per display 10 cards per booster.